North American glass artist Patrick Vrolyk with one of his creations. 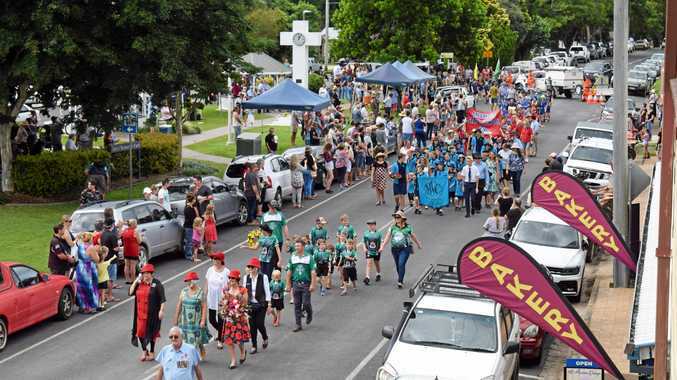 THE maker of the 'Cadillacs of bongs' has been confirmed as part of the Nimbin Mardigrass line up for this year. Canadian man Patrick Vrolyk, also known as Red Beard Glass, is bringing his glass creations to the "protestival". He is an Okanagan-based glassblower who specialises in hand-made pipes and bongs and owns one of the only licensed cannabis accessories business in the area. Vrolyk has have been making glass pipes for more than 20 years, he has hosted The Great Canadian Glass Gathering (and Canna Cup) for 12 years, and he produces his own live glass-blowing show The Redbeard Show on Youtube. Vrolyk operates his business, Red Beard Glass, from a home studio with his own kiln. Every year Redbeard holds an event in Birken, British Columbia, labelled The Great Canadian Glass Gathering. Speaking from Canada, Vrolyk said he was originally from Ontario, where he grew up in the country. "My parents owned a garden centre with greenhouses, where I acquired my love for gardening and farming. I hitch-hiked out to British Columbia, on the West Coast of Canada, in 1996," he said. "I had just seen some (American rock band) Grateful Dead shows in 1995, and in 1996 went on the (Californian rock band) Furthur tour, where I found my scene, 'my people'. I saw old school buses, glassblowers with their amazing hand crafted creations. "When I got back home, my room mate Sebo ordered some glassblowing gear, and we got to work together in our back yard, learning how to make glass pipes." Twenty years later and Vrolyk still loves making glass pipes, and he focuses on unique pieces. "These days, I no longer do 'production work', but instead focus on unique, artistic work, often with my sense of humour imbued within," he said. "These pieces, such as my 'Funny Farm' series, usually take a full day or more to make." His work sells quickly, which means he does not have an inventory or body of work available, he said. "So I will not be bringing much glass with me to Nimbin. Instead, I've assembled a presentation of some of my work, and will be presenting that at Mardigrass." "I learned about the Mardi Grass festival through my friends at 12 High Chicks (a publication out of Vancouver). This is my first trip to Australia. I'm stoked." Vrolyk said glass was a fun implement to use whilst consuming cannabis, as you are not combusting anything but the cannabis. "No paper, no metal oxidising, just glass," he explained. 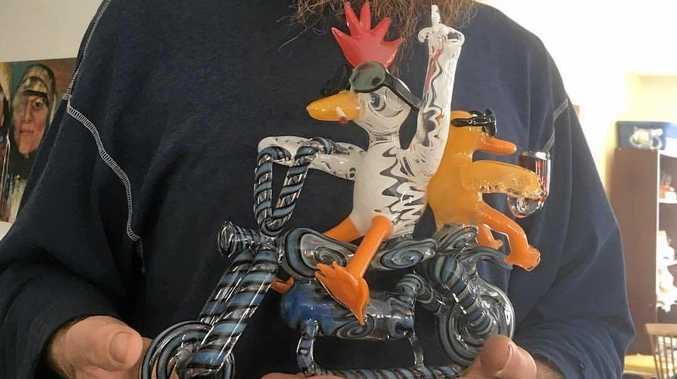 "And if you are using an artistic, 'Heady' Glass piece, you are also expressing your own sense of style, and displaying the artist's vision and emotions."